Plant Notes: Though originally published as "ecirrhata", the epithet is sometimes changed to "ecirrata". 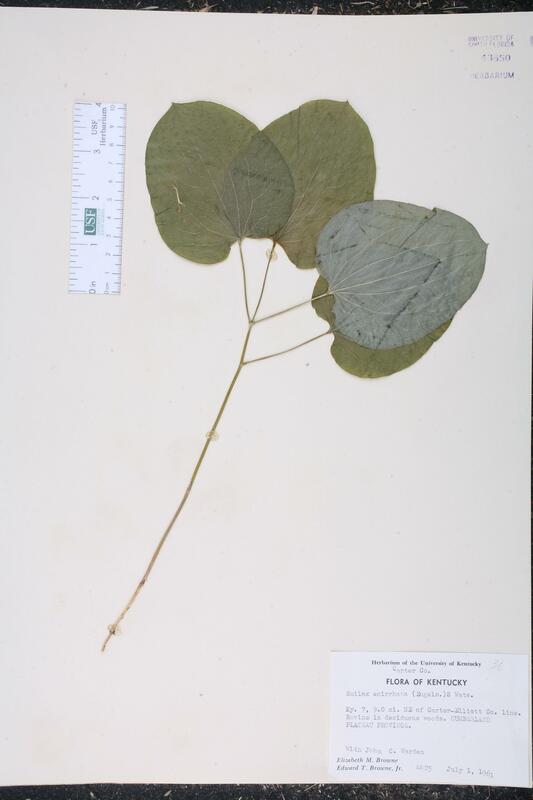 Citation SMILAX ECIRRHATA S. Watson, in A. Gray, Manual, ed. 6. 520. 1890. Coprosmanthus ecirrhatus Coprosmanthus ecirrhatus (S. Watson) Chapman, Fl. South. U.S., ed. 3. 504. 1897. 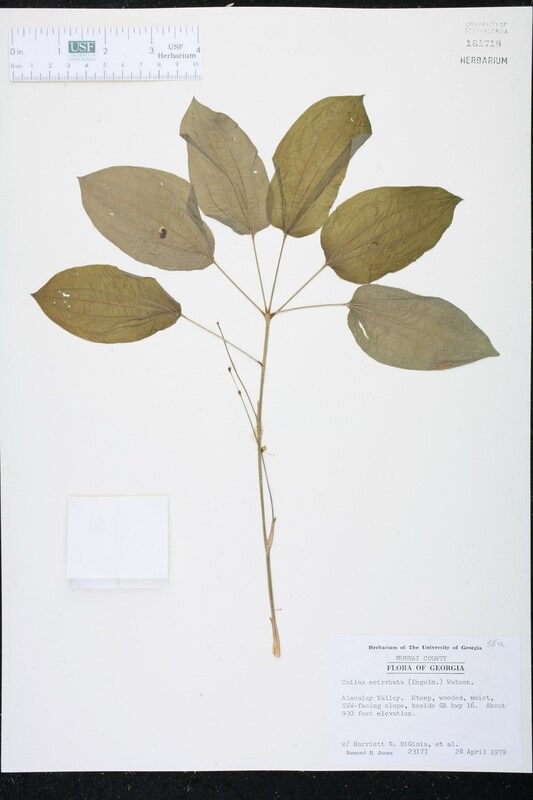 BASIONYM: Smilax ecirrhata S. Watson 1890. Coprosmanthus herbaceus var. ecirrhatus Coprosmanthus herbaceum (Linnaeus) Kunth, var. ecirrhatus Engelmann ex Kunth, Enum. Pl. 5: 266. 1850. TYPE: ILLINOIS: St. Clair Co.: Grassy woods E of Belleville, May 1835, Engelmann s.n. (lectotype: MO). Lectotypified by Mangaly, Rhodora 70: 265. 1968. Nemexia biltmoreana Nemexia biltmoreana Small, Fl. S.E. U.S. 281, 1328. 1903. TYPE: NORTH CAROLINA: Buncombe Co.: Biltmore, 4 May 1897, Small s.n. (holotype: NY). Nemexia ecirrhata Nemexia ecirrhata (Engelmann ex Kunth) Small, Fl. S.E. U.S. 280, 1328. 1903. 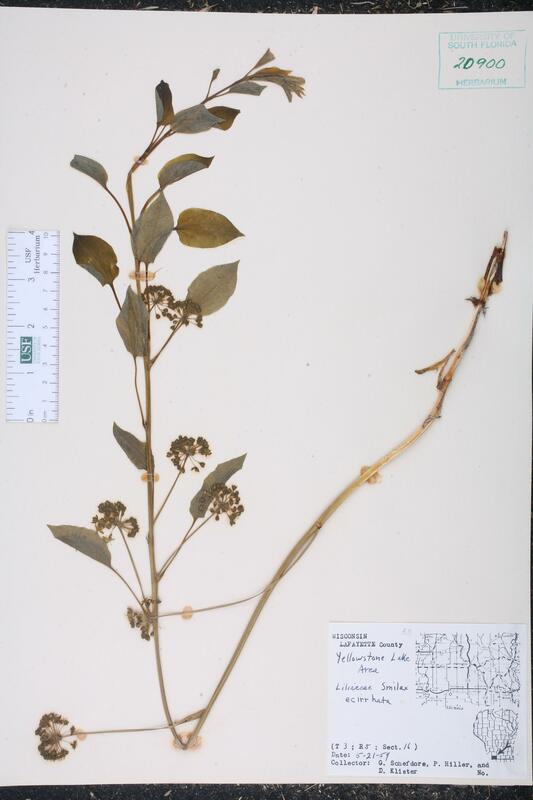 BASIONYM: Coprosmanthus herbaceus (Linnaeus) Kunth, var. ecirrhatus Engelmann ex Kunth 1850. Nemexia hugeri Nemexia hugeri Small, Fl. S.E. U.S. 280, 1328. 1903. TYPE: GEORGIA: DeKalb Co.: Stone Mountain, 1-18 May 1895, Small s.n. (holotype: NY). Smilax biltmoreana Smilax biltmoreana (Small) J. B. Norton ex Pennell, Bull. Torrey Bot. Club 43: 413. 1916. BASIONYM: Nemexia biltmoreana Small 1903. Smilax ecirrhata var. biltmoreana Smilax ecirrhata S. Watson, var. 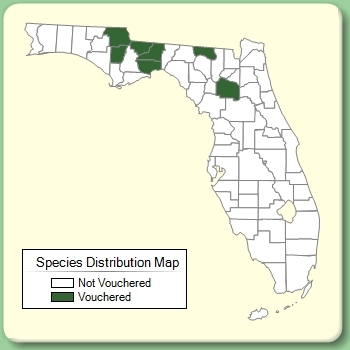 biltmoreana (Small) Ahles, J. Elisha Mitchell Sci. Soc. 80: 172. 1964. BASIONYM: Nemexia biltmoreana Small 1903. Smilax ecirrhata var. hugeri Smilax ecirrhata S. Watson, var. hugeri (Small) Ahles, J. Elisha Mitchell Sci. Soc. 80: 172. 1964. BASIONYM: Nemexia hugeri Small 1903. Smilax herbacea var. ecirrhata Smilax herbacea Linnaeus, var. ecirrhata (Engelmann ex Kunth) Alph. de Candolle, Monogr. Phan. 1: 52. 1878. BASIONYM: Coprosmanthus herbaceus (Linnaeus) Kunth, var. ecirrhatus Engelmann ex Kunth 1850. Smilax hugeri Smilax hugeri (Small) J. B. Norton ex Pennell, Bull. Torrey Bot. Club 43: 420. 1916. BASIONYM: Nemexia hugeri Small 1903. USA Wisconsin Lafayette Co. 21 May 1959 G. Schefdore s.n.